By the time you read this, the turkey is likely in the oven, or in your stomach. The football game is on the television---and that is probably the case, as there is football on the tube from 12:30 until 11:30 at night. The family arguments are either in full swing or the cops have been called. And the cranberry sauce was forgotten in the fridge. It's kind of routine on Thanksgiving for bloggers to make a laundry list of things they're thankful for. I could do that; after all, I am just as blessed as the next guy. But I thought it might be fun to present to you a list of what other people should be thankful for---if I may be so bold. Detroit mayor-elect Mike Duggan should be thankful for Tom Barrow, and the ne'er do-wells who tried to keep Duggan off the ballot. The Republicans should be thankful for Obamacare's shaky rollout, for taking the GOP's ridiculous efforts to shut down the government off the front page. In recognition of the 50th anniversary of the assassination of President Kennedy, here's a piece from the archives, penned two years ago, about how we can all thank Jack Ruby for all the conspiracy theories. He'd be up for parole every few years, always denied. Then he'd return to his private cell and bob back below the surface again. Perhaps Geraldo Rivera or Barbara Walters would have interviewed him. His look would be older and gaunter as time went by. Maybe he'd be propped up by some oddballs as a sort of anti-hero, like they do with Charlie Manson et al. Regardless, he'd have been held up as the assassin of President John F. Kennedy. He would have been the first celebrity "lone nut," as his crime happened just as TV was really beginning to take off as a medium. Maybe you'd see his likeness on t-shirts sold in mall shops such as Hot Topic. 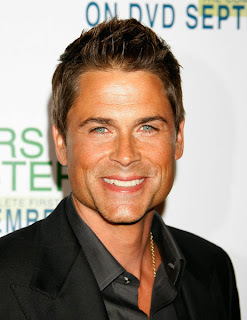 Rob Lowe is too good looking, that's it. If you looked up Hollywood Handsome in the dictionary, there Lowe's photo would be. The rock jaw, the steel blue eyes, the wavy dark hair. He was born to be on the screen. He came out of the womb looking for his mark. His first words were likely, "Feed me on my good side." Lowe is too good looking---that's all I can think of. Because he never gets credit for being one of America's great actors. There's a mystique formulated by moviegoers and critics that says if you're pretty enough to launch ships or handsome enough to stop traffic, then you're not acting up there, you're mesmerizing the audience. That must be why Lowe, 49, is treated like just another pretty face. Playing Whack-a-Mole is never good if you're in political office. It's best left to the arcade world. You know the game called Whack-a-Mole, right? You insert your quarters, grab the plastic mallet, and whack as many mole heads as you can in the allotted time. The heads pop up from different holes, at unpredictable times and locations in front of you. It's a harried, frenetic little game. It's good arcade fun, but not so fun if you're elected. Even worse when you're the Most Powerful Man in the World. 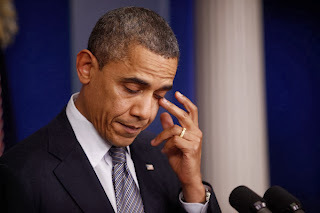 President Obama is playing Whack-a-Mole, and it's killing his second term. Maybe his presidency as a whole. The president, these days, is reduced to going before the American people and apologizing for a website. And, for being less than forthright about whether people could keep their existing health care coverage under the Affordable Care Act. And he's making policy changes to the ACA on the fly. I have a popcorn problem. Namely, that I don't like to share it. I am not normally an ungenerous person, but when it comes to popcorn, I prefer it all to myself, thank you very much. This popcorn hoarding only applies to when I am at home---mainly because when we go to the movies as a family and I buy a tub (for $7), it becomes darn hard to keep other fingers out of it. I admit it, I turn into a jerk when it comes to popcorn. I make it late at night, typically, because that's when everyone else, including my 88-year-old mother-in-law, no longer wants to eat...popcorn. They can eat whatever the heck else they want, but I frown on any popcorn eating from them if it's past 11:30pm---because the only one who should be eating popcorn that late is I, of course. That was the cute catch phrase printed in yellow font on the blue stickers, plastered onto the VHS tapes throughout Blockbuster Video stores. The evolution of technology and retail outlets associated with it come in bite sized pieces anymore. Or, should I say, "byte" sized pieces? Take Blockbuster Video, for example. It came out of nowhere less than 30 years ago and is now defunct. The company announced that its final 300 stores will be shuttered, as will its NetFlix-like disc-by-mail operation. I remember being at work Downriver, circa 1986, and my co-worker and friend Vito Lumetta came back from lunch and raved, pie-eyed, about this new video store he stumbled upon. "It's called Blockbuster and you should SEE all the videos!" Vito said, and though I'm paraphrasing, suffice it to say that his excitement was palpable. I was in the waiting room, last week, as my wife had her eye surgery, and I happened upon a recent issue of Reader's Digest. In it, they listed the 100 Most Trusted People in America. Before I tell you who No. 1 was, let me say that there was a time when veteran newsman Walter Cronkite was deemed the most trusted man in the country. Not far behind him were other news anchors of the day, and worldwide public figures like the Pope and Mother Teresa. On today's list---and I have no idea how it was culled---you had to go all the way to no. 25 before you could find a news person, and I don't even recall who it was. The rest of the Top 25 was filled with actors and other recognizable faces---but not those who deliver us our news every day. By the way, the Most Trusted American, according to the Digest, is actor Tom Hanks. While that sinks in, I'll tell you that no. 2 on the list was another actor, Sandra Bullock.